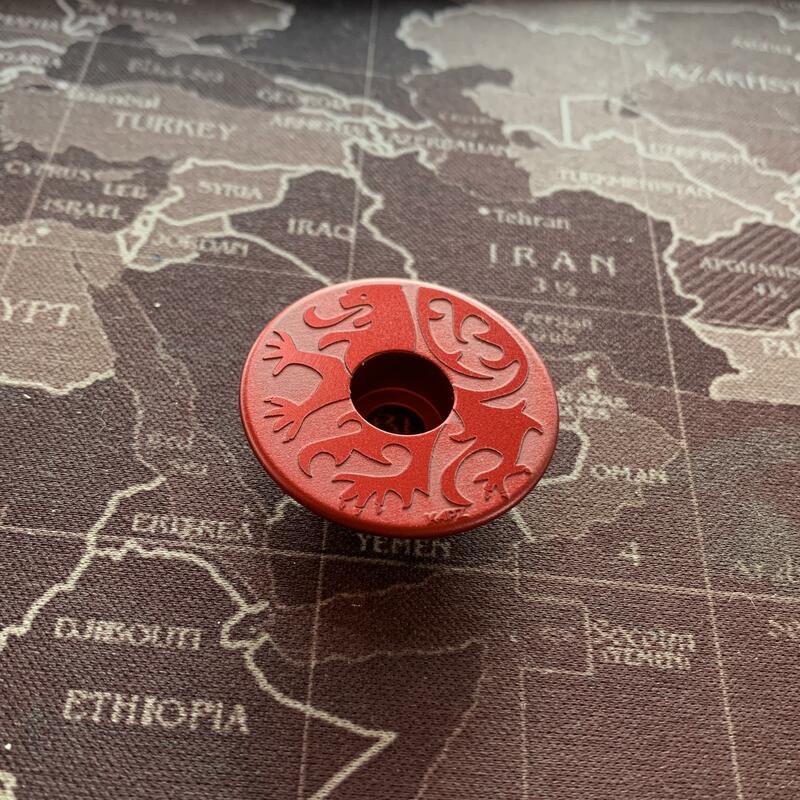 An awesome reverse etched Flanders Lion headset cap on red + red alloy bolt. HEADSET CAP SPECS . . .
BOLT SPECS . . .